We worship this weekend on Sunday at 8 a.m. and 10 a.m., the thirteenth Sunday after Pentecost. This week’s Gospel reading concludes a five-week series in the sixth chapter of John where the evangelist focused on Jesus’ teachings, beginning with feeding 5,000 people from five barley loaves and two fish. Our convenient 5 p.m. Saturday community Holy Eucharist will recommence on September 5.
twentysomethings meet at 6 p.m. Tuesday, August 25. See you at the Starbucks in Lowe’s Center. 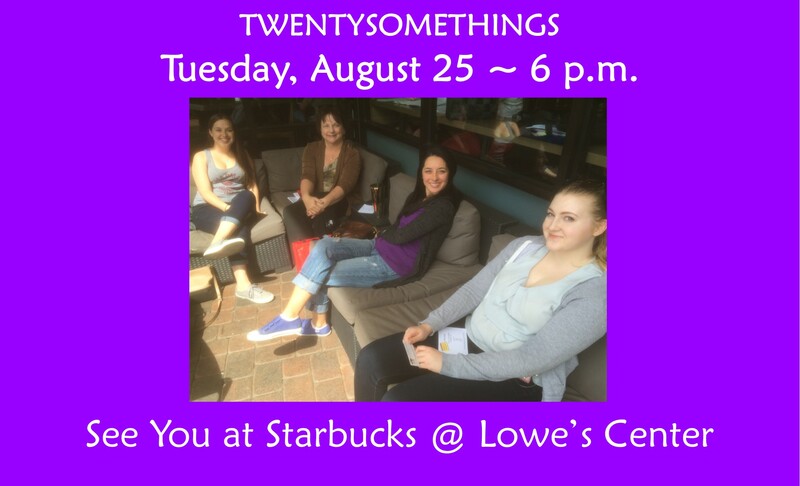 We’d love to have you join us as we have a time to visit before some of our members head off to college. If you’ve never joined us, this is the opportunity! Questions? Contact Kathy O’Connor, mizkoc@gmail.com. Join our Facebook Group, https://www.facebook.com/groups/658639067486063 to know the latest. 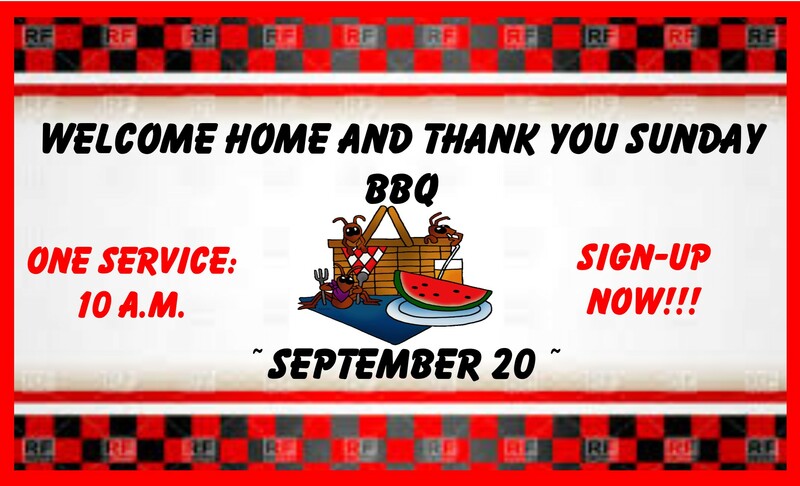 Welcome Home And Thank You BBQ September 20 – this is St. John’s annual event to launch our program year. We all worship together at 10 a.m. and then gather for fun, food, and fellowship. The Church provides the hotdogs and hamburgers and our faith community brings the sides! 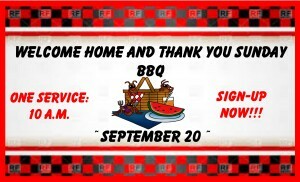 Please sign up in the Narthex. Men’s Weekend Retreat – October 2-4; Aldersgate Retreat Center, Pacific Palisades. Pick up a brochure in the Narthex; registration continues Sunday. Space is limited and we are almost full! Men’s Open Forum At BJ’s Restaurant – Wednesday, September 23, 6-8 p.m. The men of St. John’s gather informally at BJ’s Restaurant, 22022 El Paseo in RSM on this evening for fun and fellowship. The church provides the pizza. Beverages are on you. This is a great way to get connected, especially if you are new to St. John’s. 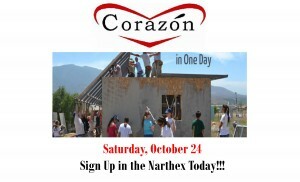 Corazón Build – Saturday, October 24. 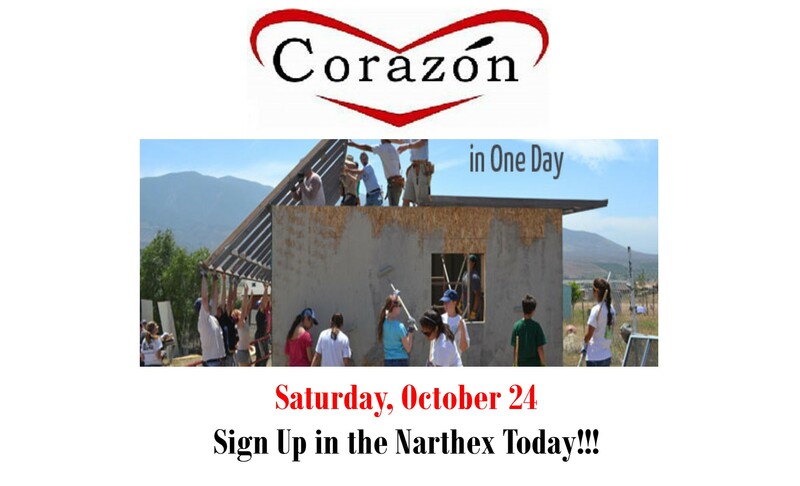 We are joining forces with St. George’s Church, Laguna Hills, and between the two churches we need 25 volunteers to build a house for a family in Mexico in one joyous, strenuous day! Please see Gene Giordano in the Narthex on Sunday for details and to sign up.